I love that this farmhouse kitchen pantry sliding barn door is the darkest wood in the room. All that dark wood is offset by the six panes of glass in the top. 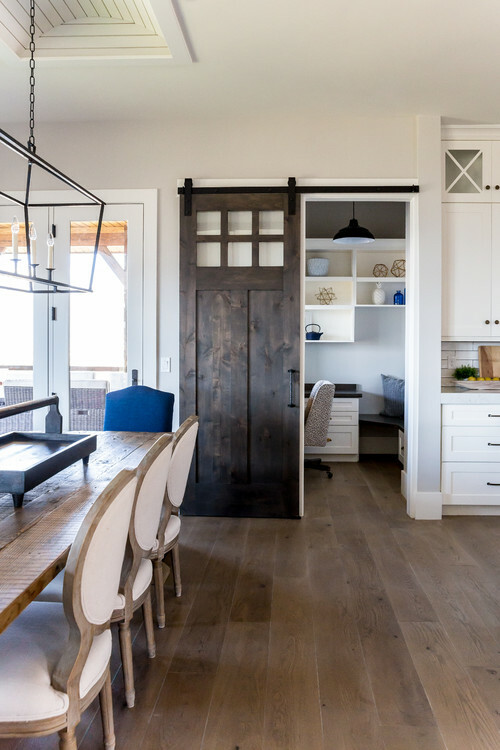 This concludes the list of modern farmhouse sliding barn door ideas. I hope you found something to inspire you!